I am always on the lookout for a great make ahead meal. I love the convenience of just popping a casserole into the oven on a busy night. This recipe can easily be made ahead of time and stored in the refrigerator or freezer. 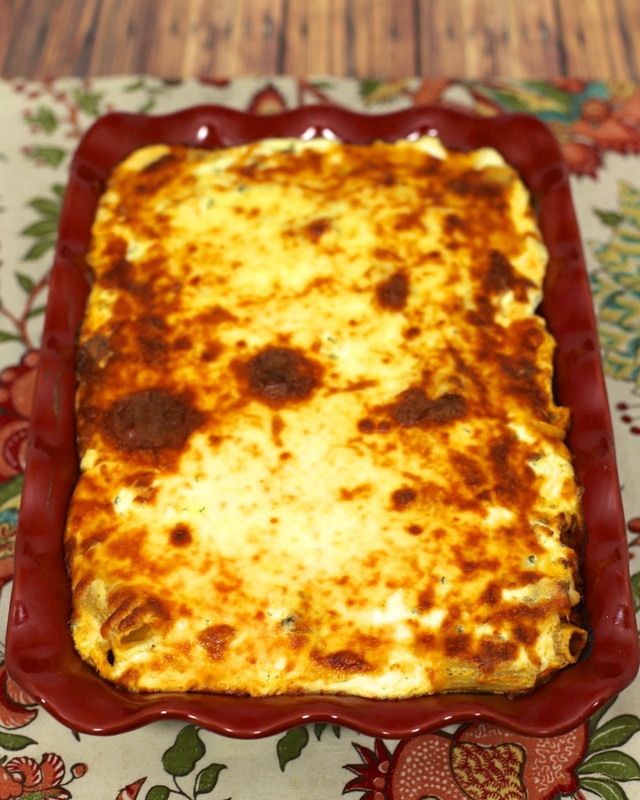 It is a great dish for potlucks or giving as a gift to a new mother. This cheesy pasta dish is super delicious! It is also very easy to make. I browned the meat for the sauce while the pasta cooked. When the pasta was done, I tossed everything together and threw it in the oven. It smelled amazing while it cooked. We both really enjoyed this. It was also great reheated for lunch the next day. Preheat oven to 375. Spray a 9x13-inch pan with cooking spray. Set aside. In a large skillet, brown sausage or beef. Drain fat. Add spaghetti sauce and noodles. Toss to combine. Pour into 9x13-inch pan. In a large bowl combine sour cream, cream cheese, cottage cheese, mozzarella and parsley. Spread over noodles. Top with grated parmesan cheese. Sounds delicious! Would you freeze it before you bake or after? 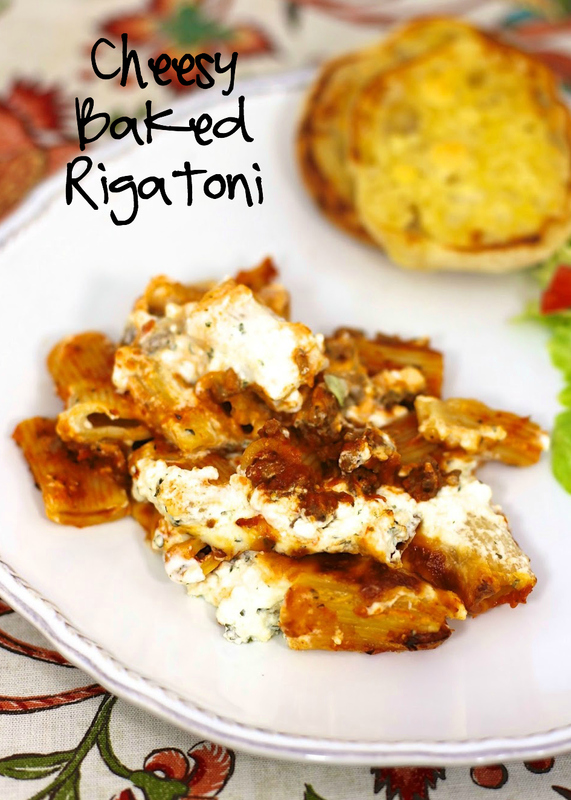 Could you substitute ricotta cheese for the cottage? This looks great! Definitely going on my dinner menu. Yum!! Must add this to my favorites!! Hi, I made this last night and it was awesome! Another keeper! I have pics of it on my page.